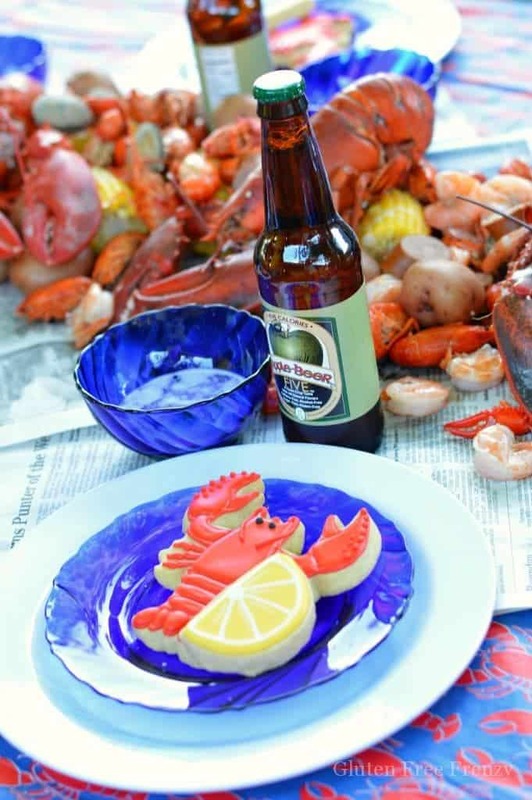 We’ve rounded up some of our pool party ideas for you. Now you can throw the ultimate summer fun bash! 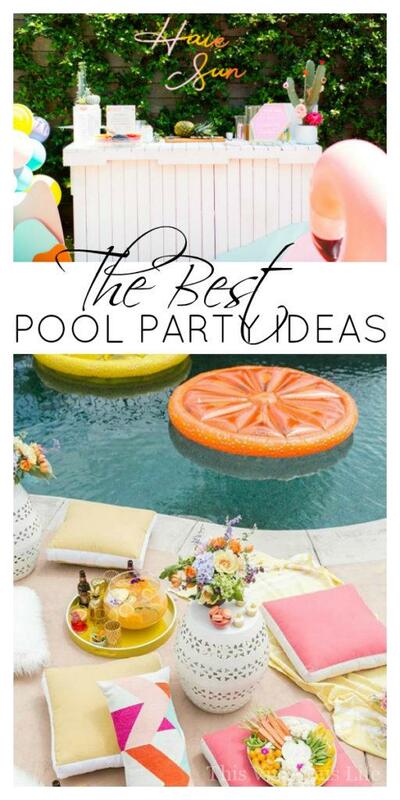 Pool parties are the perfect summer get together so you will love these pool party ideas! The best part is that the activity of swimming is built right into the theme. I love pool parties because they are vibrant and fun! 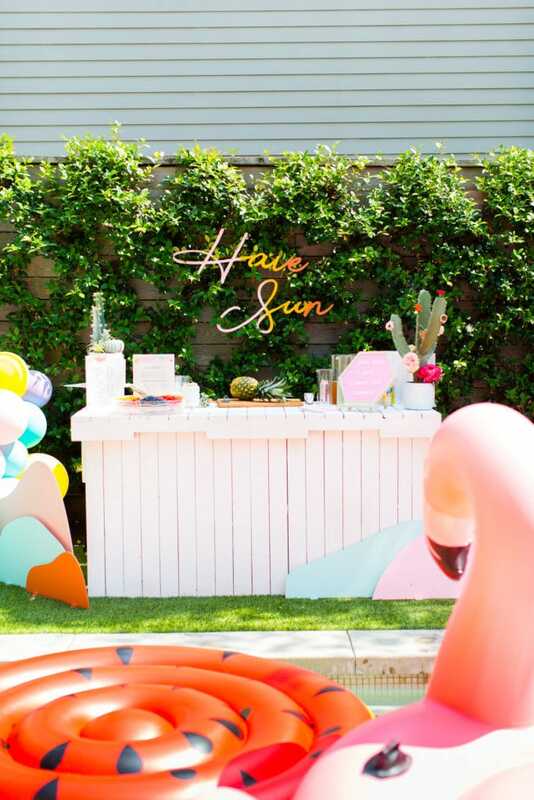 We hope these pool party ideas totally inspire you to get out there and throw a backyard bash too! 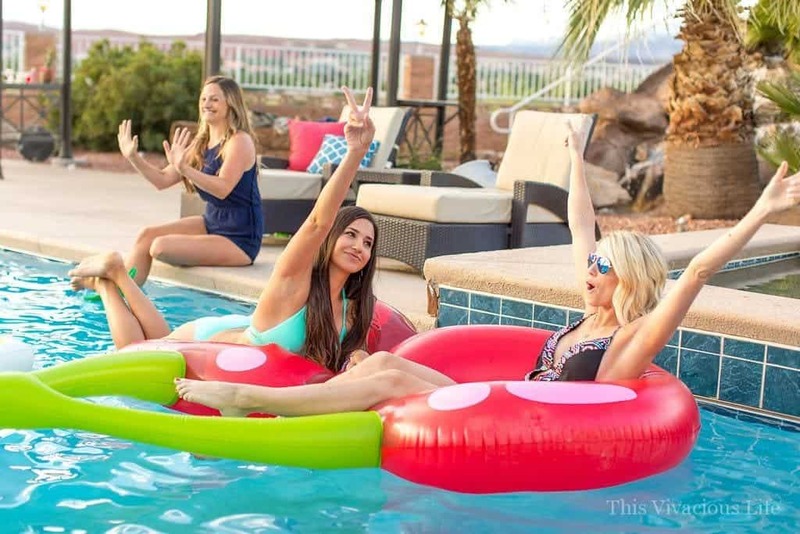 These are some of my favorite pool parties from some of my favorite party bloggers. Plus, I’ve shared my top three favorite tips as well. This first one above is from one of the most talented hostesses around. 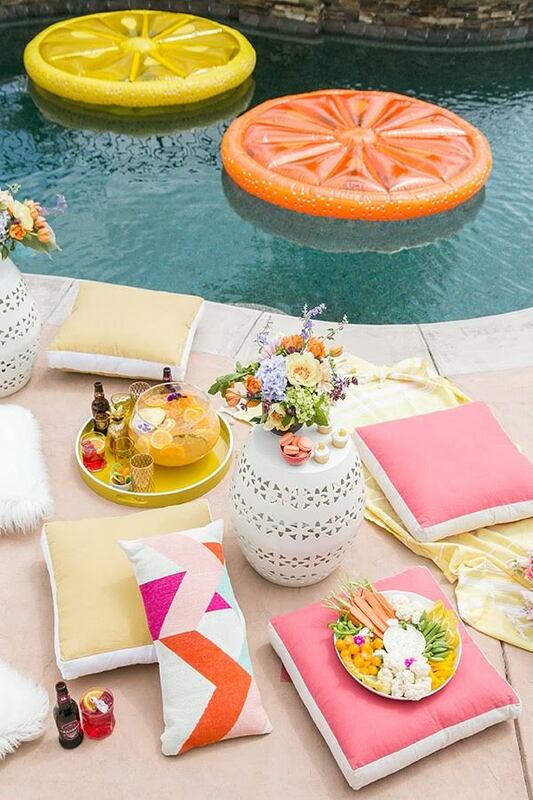 Eden from Sugar and Charm hosted this summer solstice citrus pool party and it couldn’t have turned out more charming! Get all the details HERE and don’t miss her beautiful punch bowl ideas. Jenny Keller is Jenny Cookies is my favorite hostess. She always has the cutest ideas! I love that for this pool party she went larger than life with all of these fun pool inflatables. 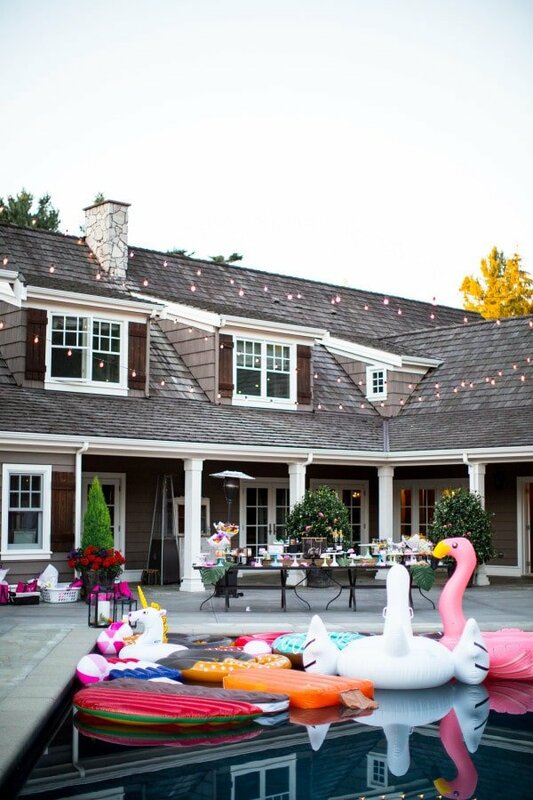 The best party is that they are so big that other party decor can be minimal. She had a darling ice cream bar and fun favorite things gift exchange at this pool party as well. You guys are going to love it! Check out all the details HERE. 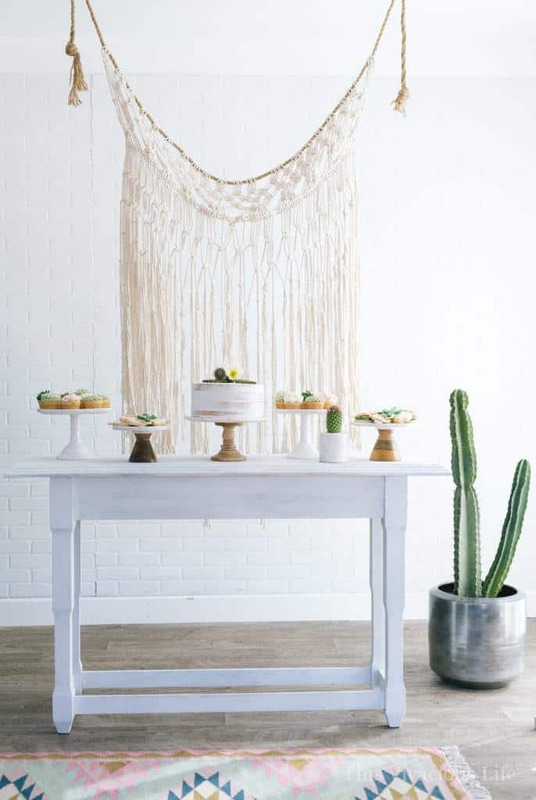 I just love when any party incorporates a beautiful drink station like this one from our friend Ashley at Sugar and Cloth. The white fence like bar brings that clean, fresh color to the party and makes you think of being outdoors even more. Get all details for this fun party HERE including her gorgeous balloon garland. And if you want to see more ideas from our ice cream pool party, we’ve got a bunch for you including a recipe for mini pineapple upside down cakes to serve. 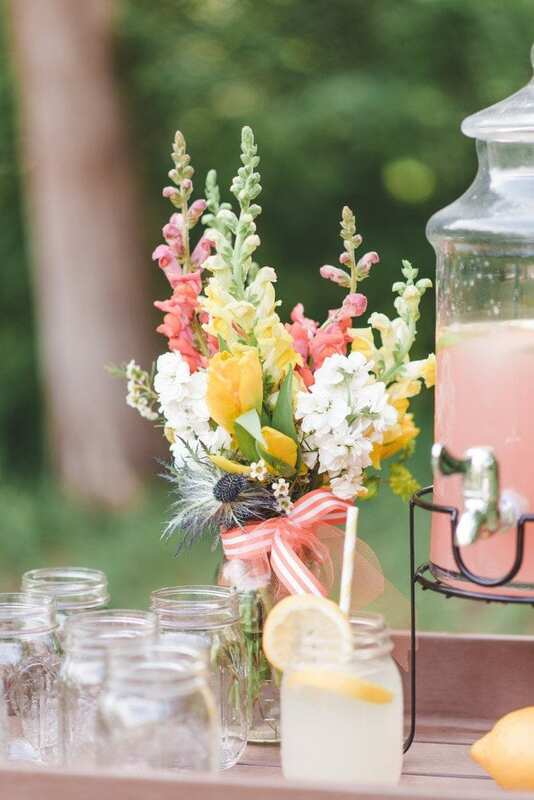 Because it’s hot outside, a gorgeous drink station with fresh florals like the one Kate from The Everyday Hostess did here would be perfect. We love the soft colors of this set up and know guests would as well. Get all the details for this and her summer soirée HERE. 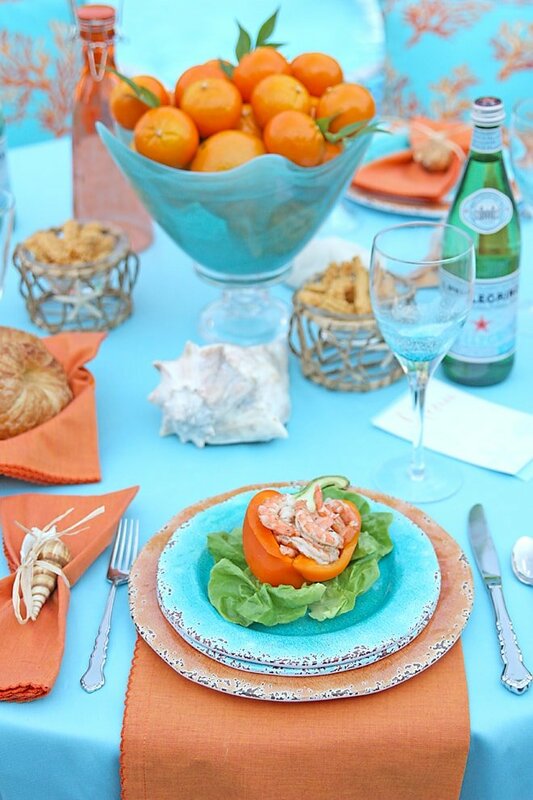 The every talented Courtney of Pizzazzerie has the cutest ideas for a vibrant summer beach inspired pool party. I love that she used citrus as her centerpiece making it both beautiful and functional. It also gives such a fresh feel to the table. Get all the details for this gathering HERE. An ice cream bar is always a great dessert option for any pool party. We set up a simple one that ended up being a real hit. 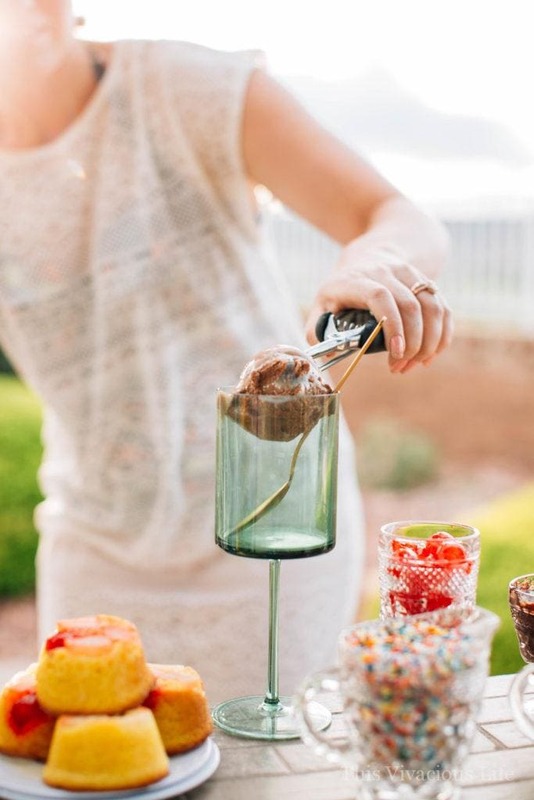 Changing up the glasses you serve ice cream in can make it seem much more appropriate for a party. Get all the details for our ice cream bar HERE. 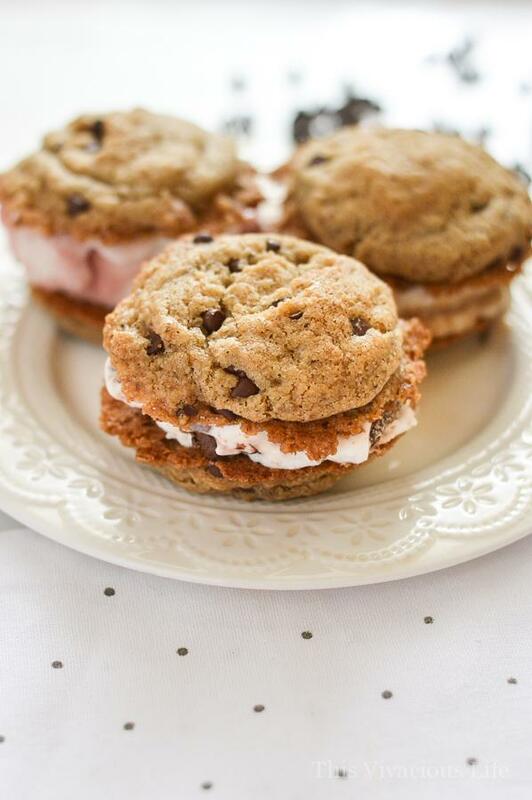 If you don’t want to set up an entire ice cream bar, making some ice cream sandwiches ahead of time can be another great dessert option. We made these GF vegan ice cream sandwich chocolate chip cookies and you guys, they are seriously some of the best I’ve ever had! 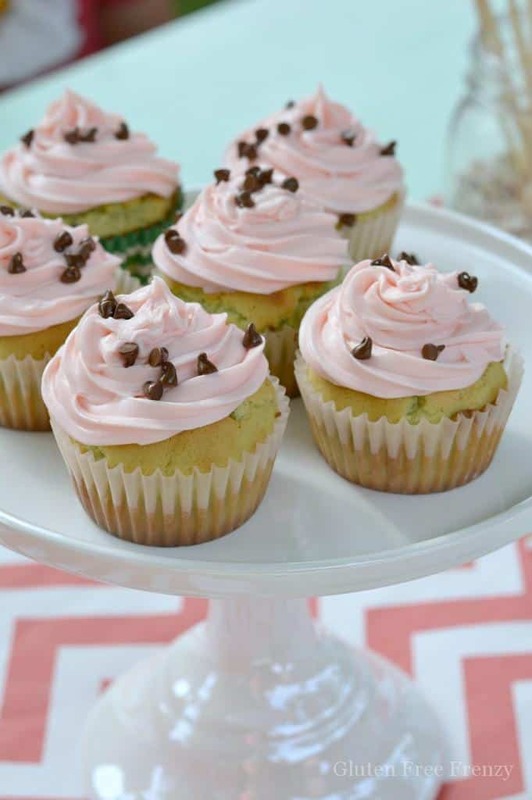 Even if you aren’t vegan or gluten-free, you will love them!